 While physically transporting all of your guests to France for an afternoon or evening isn't an option, choosing Track Seven Events' Paris theme for your wedding, corporate party, anniversary party, charity gala or other event will delight your guests and will have them talking about your event for a long time. Probably the most famous landmark people associate with Paris is the Eiffel Tower. When you choose the Paris theme for your event, you'll have a miniature replica of the iconic landmark to really set the stage and leave no question about your theme. When they're not busy posing for pictures by the miniature Eiffel Tower, your guests will be able to stroll down a quaint, Paris street. Our "streetscapes" are full of the details that make Paris such a charming and popular destination. From the second-story flower boxes and window grates to colorful window dressings and artwork, our Paris theme delivers. The sconces and party lights look like what you would expect to see on Paris streetlights, and they help illuminate pictures of everyday life in Paris. There are even baskets full of French bread baguettes on display outside the Boulangerie (bread bakery) next to the Patisserie (bakery specializing in sweets and pastries). When you can't take everyone to Paris, turn your event into the next best thing. No matter what kind of event you're planning, Track Seven Events can help make it more memorable through the use of elaborate party lights and technical effects, premier sound, and decor customized just for you. Say "Oui!" to Track Seven Events, and "Oui!" to our popular Paris themed events. Here's what you can expect when you decide to plan your wedding, corporate event, bar/bat mitzvah, anniversary party or other social event with Track Seven Events: we'll listen to your needs, to find out exactly what you're looking for and what your event budget looks like. We'll then help you explore various concept and theme options and discuss venues. Our experienced planners will take it from there, designing, producing and executing the event of your dreams. Explore our gallery to see Track Seven Events' party themes in action. Then, contact us to start planning your own event. Simply fill out our online form with some general information about the event you're planning. Or, if you prefer, call us at (678) 805-8825.